Park Towers! VIEW, LARGE, BRIGHT AND SPACIOUS 775 SF. East facing with stunning 270 degree view right in the heart of Richmond & mountain! Convenient center location in front of Richmond Centre Mall. Steps to Richmond Public Library, Minoru Park. 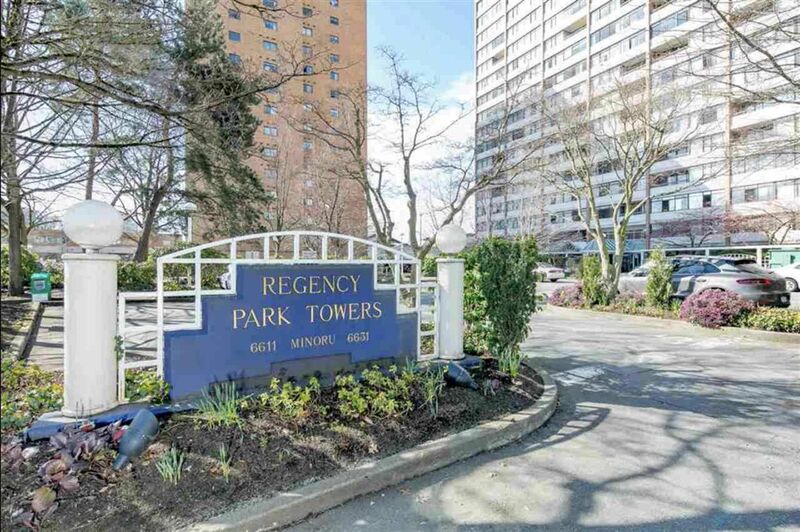 Close to Newly built Richmond Aquatic Centre, Ice Centre, Stadium, Richmond Secondary, Public Market, public transportation including Canada Line Skytrain, Richmond Hospital & Playground. Great layout and solarium, balcony. Updated kitchen cabinet, SS appliances, new laminate flooring, new paint, 1 parking, 1 locker, outdoor swimming pool, rec centre, sauna/steam room. Age restrictions 19+. No pets. No Rentals.Quite and desirable. You'll enjoy living here!!! Pleasure to show.